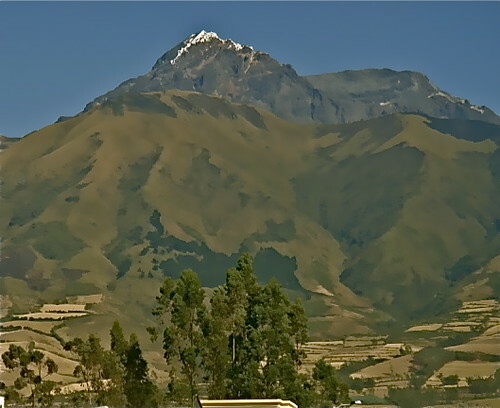 Here is some Ecuador real estate near Cotacachi in Urcuqui. 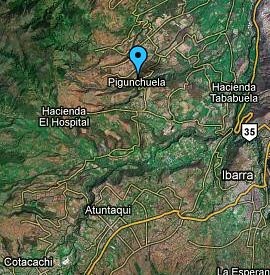 I believe that the better Ecuador real estate opportunity could be in areas surrounding Cotacachi. This village is called Urcuqui. Merri and I were among the first expats to move to Cotacachi. We had our first Andean lunch on our first trip to Ecuador at La Mirage Garden Hotel & Spa in Cotacachi about 15 years ago and were impressed by the hotel, but not Cotacachi at that time. 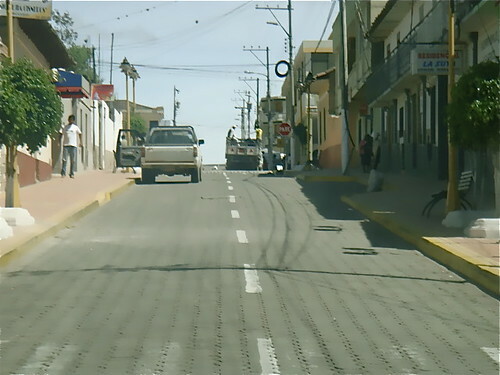 A couple of years later we returned to Cotacachi and were overwhelmed by the improvements. We were so impressed that we bought apartments, houses and a hotel and remain land owners in Cotacachi….so many improvements, changes, delightful surprises everywhere. We are pioneers always moving on and Cotacachi is now pretty established… appealing more to the majority…. thus it has become more expensive. We have been watching a small village not far from Cotacachi that has been transforming itself just as Cotacachi did in the past. 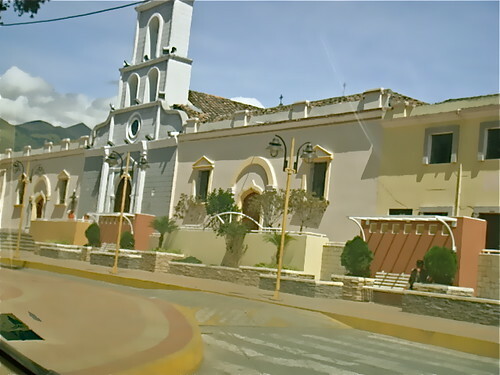 This village is Urcuqui. See Urcuqui on an Ecuador real estate tour. See more pictures of Urcuqui real estate here. Learn How to Invest Simply in an Increasingly Complex World. Feb. 11-12 International Investing and Quantum Wealth. Enroll here. – $499 Reserve – $749 for two. 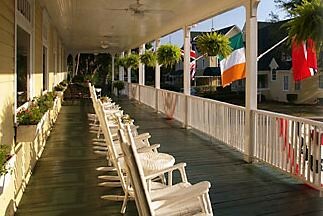 Join Merri and me this February 11-13 at the Lakeside Inn in Mt. Dora for two courses, one on international investments, the other on how to create or improve your own micro business. If you attend both seminars you save up to $498 and can attend our FM quantum wealth workshop FREE. We are in an era of dramatic change. We live during the increasingly chaotic transition of a great economic civilization. This shift creates many problems… loss of trust in the establishment for example. Medicine, education, government, science, police… even the church in many ways have all let us down. We face the loss pf privacy, growing numbers of mercenaries distort politics… deforestation and soil erosion. and global climate change smear our environment while destabilizing work and aging populations, the headlong pursuit by voters and leaders for only the good life, job losses, riskier investments and free spending Fed lead us closer to the potential of hyper inflation. All these problems have come together. They create new investing and business opportunities that you can enjoy as the old ways fall. Many problems are striking the Western world. Economic stress grows…debt…rising cost of insurance, increased liability…inflation lurk everywhere. More crowds… increased change… added push. The falling dollar and economic hard times are shredding purchasing power. Jobs are hard to find. Pensions are at risk. Banks fall. Even borders have lost their protective power. Choices seem to diminish…. but actually… opportunities grow. This is why Merri and I for the first time in thirty years we have split our flagship International Investment and Business course into two seminars… all conducted in one long weekend… yet divided, one seminar on international investing, the other on how to have your own global micro business. Plus all attendees to both of these seminars can attend our workshop FM – Quantum Wealth. The First Seminar: All day Friday and Saturday morning, February 11th and 12th. International Investing Made EZ. Protect your purchasing power by investing globally. With the accelerated fall of the US dollar, multi currency investing is increasingly important and profitable now. There are two benefits in multi currency investing. First, if you choose the right currencies you gain a profit kicker. For example one of the shares in my portfolio, Unicredit Bank recently rose from 1 euro per share to 2 euro. This was a 100% increase. However in the same period the euro rose from 1.17 dollars per euro to 1.33 dollars per euro. This is the profit kicker shown in this www.finance.yahoo chart. If one had invested $10,000 when Unicredit Bank shares were 2 euro per share… but the euro just 117 dollars a euro… and sold when the euro rose, a profit was kicked up even though the share price had not grown. $10,000 purchased 8,547 euro at 1.17. This would have purchased 4,273 shares. At 1.33 those same shares are worth $11,367… a 13.67% profit in just two months. Make no mistake… the euro could have moved in the opposite direction and profits would have been destroyed… losses would incur even though the share prices did not drop. The International Investing Seminar looks at how to choose currencies when they are more likely to rise (against other currencies) than fall. The session also looks at the second benefit of multi currency investing… diversification and borrowing low to deposit high. This type of multi currency investing is usually in slow moving, safe, conservative investments but it can be really profitable as well. The portfolios we create and review at our seminar are mostly composed of mutual funds and shares and are developed with the help of one of the world’s safest banks. The mutual funds and shares are held at that bank at all times. Suppose we get specific. That safe bank is Jyske Bank…well established with a history of over 100 years. Jyske is Denmark ’s second largest bank, with 450,000 clients in Denmark and over 30,000 abroad. Jyske Bank has over 23 billion euros in assets and also happens to be one of the leading currency traders in the world. The Danes have always been big currency traders because as a small naval country surrounded by England, Sweden, Finland, Russia, Germany, Norway and other countries…they have always had to deal in many currencies. This historically gained expertise means that unlike most banks (that trade only eight hours a day) Jyske maintains a 24 hour global currency and commodity dealer service. Many other large banks use Jyske to handle their off hour currency positions. This means that Jyske is huge when it comes to multi currency activity. In fact their currency and commodity trading turnover reaches $50 billion dollars a day. That’s safe. Jyske investment managers speak at our seminar and also meet delegates personally. Here is Thomas Fischer of Jyske speaking to a group at a previous seminar. Each seminar reviews global economics and updates ways to adapt and prosper in current conditions. This portion of the seminar reviews what I am doing as a multi currency investor myself. For example in my portfolio right now I have just four equities and three equity mutual funds. Jyske Bank shares is one. UniCredit Bank the second. The others held are KGHM Polska Miedz, a Polish mining company that mines copper and silver and Brookfield Renewable Power… Canadian… a vast electricity generator, plus a Turkey, Brazil and European mutual fund. In each of our investing sessions you’ll see my updated portfolio and why I have made changes, plus my current seven favorite places to invest. #3: Good Value European and Emerging Equity Markets. The seminar shares what is in my personal portfolios and explains why my portfolio is designed by me for my circumstances at any one time. This provides you with two benefits. First sharing why I adjust my investments might be of help to you to understand how to adjust yours. Second and most important, I invest real time. The data shared in our courses is about global investments you can make in the here and now. What you learn is not dated theory, but up to the minute fact! Many delegates come to course after course to update their portfolios. Delegates learn from each other. 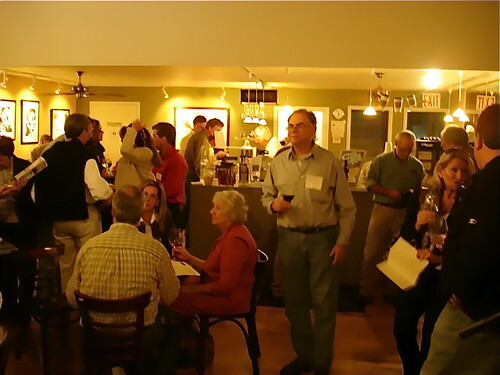 Here is a group from a previous seminar discussing what they learned during the course, at a complimentary wine and cheese reception after the Saturday sessions. Simplicity from Complexity! The FM – Quantum Wealth Workshop runs Saturday, 10am to 3pm. More on the importance of finding simple solutions in chaos and how to do this with FM investing and business in a moment. The Second Seminar : 3pm to 6pm Saturday afternoon and all day Sunday, February 12th and 13th. International Micro Business Made EZ: Global Internet Business Sessions – How to Use Words to Earn Global Income. Our “How to have a small international business” seminars are highly practical and usable right now. They focus on how to use modern technology to start global micro businesses with minimal investments of time and capital… that can create valuable extra income. By starting small and building with stepping stones and a harmonious focus, Merri and I have learned how to almost own several profit generating phrases at Google. Merri and I share the secrets of how you can use words to create your own global income. The seminar shows how we use the first four of “Seven Ps” (Person, Problem and Promise, Product) to zero in on key word phrases. Then you learn how to use the Fifth P Promise to develop new customers. The Sixth P is the Prospecting Path and Seventh P is the Presentation to create income. We use this system successfully on the internet and share what we do and look at ways you can have a high income generating business… even if you never leave your home. You will learn how to use the same system to expand (or start) your business globally! This is a perfect era to increase your wealth and security as you reduce stress with your own a micro internet business. Merri and I enjoy having an international internet business and it is doing well. Almost every month our internet business sales are higher than they were in the same month a year before. 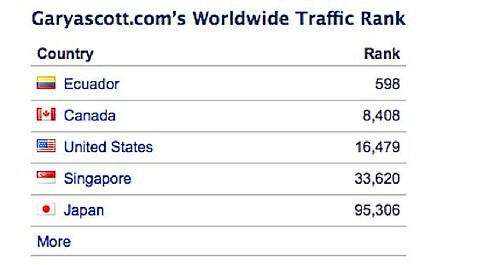 We are very thankful to be one of the most read sites in Ecuador and do very well in the US and Canada too. May we share our experiences to help you learn how to enjoy this satisfaction and success though international investments or micro business? Here is a recent ranking of just one of our five websites. This ranking from Alexa.com shows how our site is in the top 16,000 web sites in America, top 8,000 in Canada and top 500 in Ecuador. There is more… as you’ll see in pictures below, the recession caused our internet business to grow. Our seminar helps you learn how to use the same tactics we do… with your micro business. Value oriented micro businesses should increase steadily in good times. They do not get caught overextending during times of euphoria. Then during bad times they are in a position to really grow! The Western economy has changed… probably forever. The old ways are gone and those who held jobs… or still have work in the private sector have lost a lot. Many of the old rules of investing and employment have been turned upside down. This means that we are in times of great opportunity, for certain types of investments and internet businesses… if… we choose a business (or investment) that flourishes with change. ﻿We are in an era of global structural change… in economics… in society and in the way we work because technology brings us low cost administration, low cost access to data, low cost communication, and low cost travel, plus the opening of markets beyond logic that rely more on passion and experience than on efficiency and cost. We look at these economic and structural changes, and how to profit with an international micro business. The FM Quantum Wealth Workshop. Simplicity in Complexity. Chaos. That’s what we have in the Western world… coupled with a breakdown in our currency and the social contract. Numbers ideas and attitudes we have previously lived by will no longer work. There is no way to keep up with all the change. Security and success depend on simple ways to think, to invest and to do a business beyond logic. The art of eliminating complication comes in the form of Frequency Modulation. In telecommunications and signal processing, FM stands for frequency modulation that conveys information over a carrier wave by varying its instantaneous frequency. The educational program Merri and I have developed uses a different form of frequency modulation we call “Full Mode” that opens enormous opportunity for expansion, understanding, peacefulness as well as greater wealth. FM teaching uses frequency (in music and a number of other ways) to integrate brain waves so the process of absorbing, processing and recalling information… is vastly accelerated. FM thinking also helps unlock intuition so you can invest and do business beyond logic. Merri and I are explorers, always looking for what’s next… trying to stay on or ahead of the leading edge. This journey has lead us to alter the main mission in our lives many times. During the 43 years we have been investing and doing business abroad, we have enjoyed capturing seven golden trends. #2: 1970s investing in Japan, Germany, Switzerland, England, Australia and Hong Kong . #3: 1980s. The Tigers, Taiwan , Singapore, Malaysia, South Korea & Turkey . 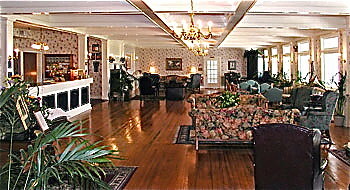 #4: 1990s. South America (which led us to Ecuador). #5: 2000s. China , India and Eastern Europe. #6: Invest in Real Estate and Global Micro Businesses throughout. #7: Bet Against the US Dollar throughout. Spotting these trends early brought us a strong and continual flow of income. The demographics and dynamics behind these shifts we captured were so complex we could never have figured them all out. Instead we learn how to naturally be in the right place at the right time… automatically… without logical thought. This is FM Thinking! Now you can use FM Thinking to spot the latest… and perhaps strongest… of trends. FM Thinking works by focusing on the learner first… the data second. FM Plus “grows the learner” rather than just expands the information. The explosion of data we must all process everyday means there is too much information to process already. Let’s view this learning in terms of plumbing to outline what “Growing the Learner” means. FM Thinking incorporates Frequency Modulation to expand the learner’s thinking and information processing ability. We’ll do this through our FM Plus Process which we have been using in our Super Thinking Plus Spanish course. Now we are integrating this process into our International Investing and Business courses as well. The FM Plus Plan Goes Way Beyond Spanish. We have been using our FM system for a number of years to teach teach delegates how to communicate in Spanish in just four days but Frequency Modulation can be used in all fields of learning. For example. FM Plus can be applied to forex trading and investing. Athletes of all types… golfing being one common sport benefit. The Soviet Union… even though a third world country… excelled in the Olympics… as well as beating the USA into outer space… because it integrated FM teaching tactics as developed by Dr. Gregori Lozanov (one of Merri’s teachers) into its educational system. You make valuable health contacts. For example, our Quantum Health sessions will be enhanced by…. Bob Shane. Bob is a space scientist who has been involved at the quantum scientific level of the aerospace industry for his entire career. His studies in quantum physics helped him apply space science to understanding the deepest levels of balance in health. Besides being the first person we turn to when we have health questions or concerns, he and his wife have been our very best friends for almost two decades. He has helped Merri and me with our health enumerable times over these years. Bob will be available in February to demonstrate the most scientific and modern methods of physical balancing at the quantum level. He will bring three special instruments for balancing at the Quantum level…the Scenar, ESTeck and Core Inergetix. We hope you’ll join us. The syllabus is below. 9am: 1000 Year Economic Review‚ What Now? How to cash in on the multi currency evolution. Gary Scott. Knowing 1000 years of global economics can enhance your international investments and international business now. Learn how history reveals currency distortions that create international investment opportunities to borrow low and deposit high. For example right now you can borrow Japanese yen at below 3%, Swiss francs below 4% to invest in international investments, international business, international real estate or other international currencies that pay 5%, 6%, 7% and even more. In one case we’ll show why it is smart to borrow Swiss francs at 3.75% and invest in international Brazilian bonds that pay up to 10% or more! 11:00 am. How & Where to Bank Abroad. Thomas Fischer. Learn how to choose an overseas bank… what type of account to open… how to review of global stock markets, international currencies and international interest rates and how to spot shifts versus the US dollar. Thomas Fischer, Jyske Global Asset Management. Thomas is the senior VP at JGAM and JGAM is in charge of investor multi currency allocation strategy. He will speak about global and multi currency investing and how to borrow low and deposit high. 1pm: International investment portfolios for diversification. in several cases into nine currencies and nine different investments of which more than half have strong A to AAA ratings. We will review any changes made in the international investments portfolios we track and update what and how currencies and interest rates may move in the months ahead. See good places to invest now. Always updated, currently our list includes #1: emerging stock markets. Emerging markets outperformed developed markets for seven years through 2007. In 2007 the MSCI overall Emerging Markets benchmark was up 23.8 % in US dollars compared to the MSCI World Total Return Index being down 0.08 % in US dollars. Emerging markets fell faster in 2008 but rebounded in 2009 and led the global investment pack. In 2009 the emerging markets index (in US dollars) was up 58.99% compared to 23.05% for the same world index. Over three years the index on emerging markets was up 37.88% versus 17.27% for the world index. The emerging market index was up 35.63% compared to the world’s index rise of 18.43% over five years. In 2010 emerging market again outperformed major markets. You’ll learn why many investors in 2010 we were investing in BRIC countries (Brazil, Russia, India and China). You’ll learn why I only invested in Brazil and chose Turkey instead. These 4 BRIC countries now generate approximately 27% of the world´s Gross Domestic Product (GDP). The average annual GDP growth of a BRIC nation was greater than 7% before the recession, as compared to approximately 2% for a G-7 nation. We look at a special BRIC trading idea in our 2011 seminars. The seminar will updates markets from 2010 and compares emerging and major market opportunity for 2011. 3PM: Good investing sector #2: Emerging market bonds. You’ll see how I am earning up to 12% on safe emerging market bonds in Brazil and Turkey. Good investing sector #3: international investments in alternate energy and water. For example we’ll see why Hyflux (water cleaning membranes mainly in China ) rose from $1.50 to $5 in less than a year (and why it then fell dramatically). We’ll see why water shares are destined to grow. We’ll look at Vestas (windmills) shares also up from $50 to $106. Plus we’ll update our Green Portfolio. Good sector #4: How to Cash in on Smalltown USA. We’ll look at properties for sale in Ashe County, North Carolina and Central Florida. These areas have two unique features. First, they offer great real estate value. Second, they are great places to visit and live…Smalltown USA! Many readers combine a trip to our Florida or Blue Ridge courses with a chance to look around and inspect some property for sale. Learn how demographics and population push (plus the water) and new Florida investments that have come to this area are likely to make this a hot spot in the decade ahead. In Florida they often visit Orlando about an hour away… plus look at the great lake front properties available at really low prices. 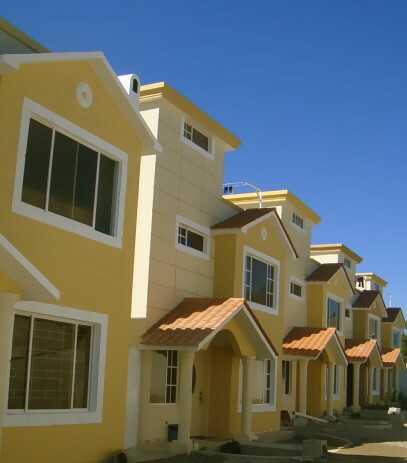 9am: Good investing sector #5: real estate in Ecuador. We have gained much more than just profit and international business and international investing opportunity in our international real estate searches. We have gained incredible luxury, heart- warming sweetness, breath-taking beauty, much better health and pleasant surprises at every turn.Having lived, worked and played in Ecuador now for over a decade, we’ll focus heavily there. For example we’ll see how to own condos like this for as little as $59,500. These condos have excellent view are near the village center, have a small park nearby and this view. This session reviews a list of current Ecuador property for sale. 11am: Global Investing Q&A plus How to use the latest tax savings and offshore legal structures to gain the ultimate asset protection. Learn how to gain more than cash-freedom, friendship, financial security, prestige, tax savings, legal protection, fun, adventure, self-sufficiency, fulfillment and more satisfaction…by combining very small amounts of money with your time and energy in an international business. Quantum Wealth. Multi-Dimensional Micro Business for Fulfillment & Wealth. The Sound of Wealth & Health. Quantum Mechanics & Frequency and how they affect markets and connect business and investing with health & wealth. The Importance of Balance. Integrating brain waves and being in the zone… 60 cycle sound, meditation and beyond. The importance of being wise and how to have a global view. The Andean – Indian Connection. Three fundamentals of longevity. How this helps improve business & investing. Three Foundations of Quantum Wealth. Quantum Science in Health and Wealth. Bob Shane. 3:30pm The Ultimate Asset… Your Own International Micro Internet Business. How to use the internet in your micro business. 4:30pm: How to monetize your micro business. Learn eleven ways to develop income. One section in this session shows how I turned a $950 direct mailing into $118,500 in three weeks. I added $9,875 a month to my income! This information is worth the cost of the course alone. 6:30pm Wine & Cheese Reception hosted by Jyske Global Asset Management. 9:00am: How to write and use publishing, seminars and how to use international internet opportunities to create your own global business from your home. You can run your global business from an office or at home! The internet makes this more possible than ever before. 10:30m: How to have an International and Ecuador Import-Export Business anywhere. We’ll especially zero in on Ecuador export business opportunities in carved wood, ceramics from Cuenca, carpets from Guano, silver and gold jewelry from Chordeleg, paintings and art, textiles from Otavalo, leathers from Cotacatchi and flowers from the Andes. For example you’ll learn how factories make bread dough jewelry that can be fashioned into high school and college mascots and purchased for pennies apiece (to be sold for dollars abroad). You see how the only native American owned mill produces coats, shirts, sweaters, hats, gloves and scarves in school colors of your choice (at really low prices). These can be sold for ten times their cost. One session in the courses focuses on how to profit from an import export business… especially in Ecuador. Bonnie Keough will be available at the seminar. Bonnie conducts export tours and will be on hand in North Carolina to display Ecuador export products and speak about how to export from Ecuador. 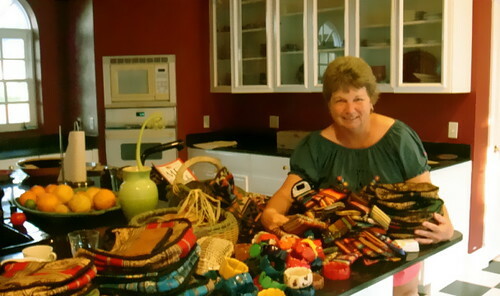 She brings extensive knowledge about Ecuadorian products and sales back in the USA…plus never ceases to amaze us with her outstanding array and excellent prices of goods from Ecuador. Plus we’ll have Micro business case studies. What we are doing now. How readers have started small and grown on the internet! Imagine this. Merri and I have a tiny international business. Just two of us run this operation from a remote farm in the Blue Ridge, a small village in Ecuador and the Florida countryside. Yet our website is ranked as one of the top 16,000 sites in the USA. One case study at the course will review how our daughter has turned the Love-Recognition and Care markets into a huge success teaching her love of the performing arts dancing…. singing and drama. If you have or want to make international investments or have your own full or part time international business, you should contact us and make a reservation. “I returned to Ecuador in October. I spent two weeks attending Spanish classes in Quito and the next two weeks shopping. Once home, I sold my goods at an international bazaar and again paid for my trip expenses. 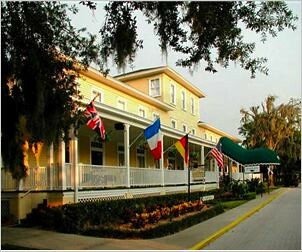 National Historic Register, that has continuously operated as an inn for more than 125 years, the oldest operating inn in Central Florida. 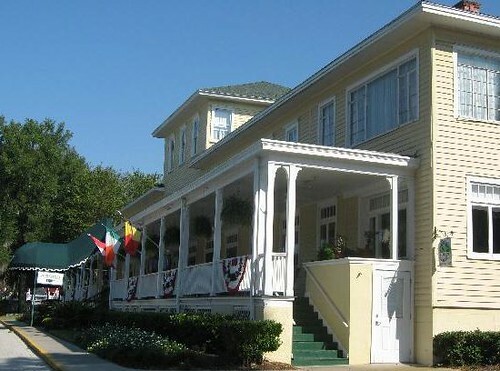 in Mount Dora… our Florida shopping town and known as the “New England” of Central Florida. When we receive your reservation, we’ll email you directions and details about hotel options as well as transportation that is available. Course fees do not include air fare, food or accommodations.